Ready for business? Look no more! Property sits on US HWY 59 which will be Interstate 69 in the near future. Former use was a feed mill. 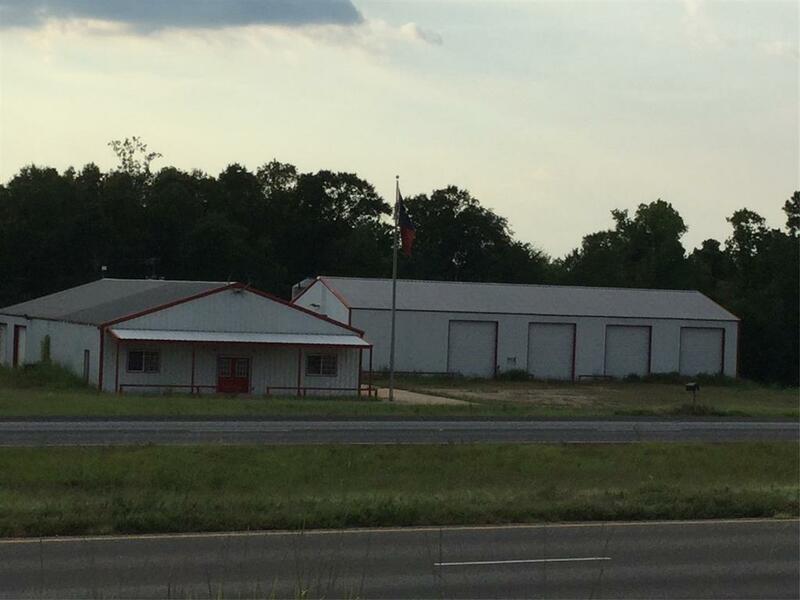 Two buildings with 3 phase electricity, one measures in front 40 X 50, with office, restroom, trimmed out in native wood, tin ceilings, alarm system, and back warehouse is 60 X 50 with loading dock, large roll up doors. The second building has 16' walls with 5 large roll up doors and approx 8000'. Property in great shape and ready to go! © 2019 Houston Realtors Information Service, Inc. Information is provided exclusively for consumers' personal, non-commercial use, and may not be used for any purpose other than to identify prospective properties consumers may be interested in purchasing. All information provided is deemed reliable but is not guaranteed and should be independently verified. Listing courtesy of Martindale Real Estate Invstmt.